When you have goods you need to transport between coasts, the freight and container port service at Value Industry Inc. in Brooklyn, New York, is a great option. We own 53 foot trailers, 25 trucks, while servicing refrigerated and dry goods. Come to us for your transportation needs. We do drayage for all major New York and New Jersey piers. We are licensed for warehousing in Brooklyn and we do local and abroad freights. You won’t have to worry about losing your goods as we have GPS on trailers and are fully insured. If you have dry or frozen goods, we ship truck drivers to pick them up from one location to drop off at other locations after getting your orders. 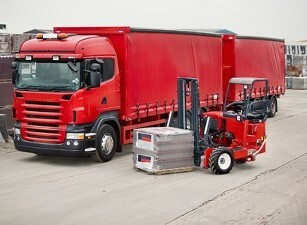 We offer gos by plats in trailers up to 53 pallets and it is the shipper’s responsibility to inspect products. Whenever you need service, we provide dispatch service and customer service 24 hours a day, 7 days a week. We are also able to locate drivers, trucks, and give status on immediate assist. Call (718) 567-9300 to request our superior freight and container port service in Brooklyn, New York.